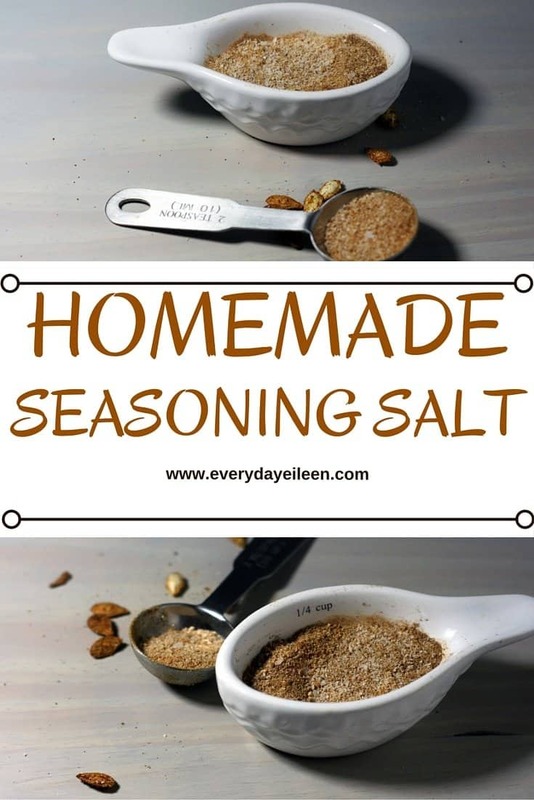 Homemade Seasoning Salt is a great way to make your own seasoning and monitor your sodium intake. 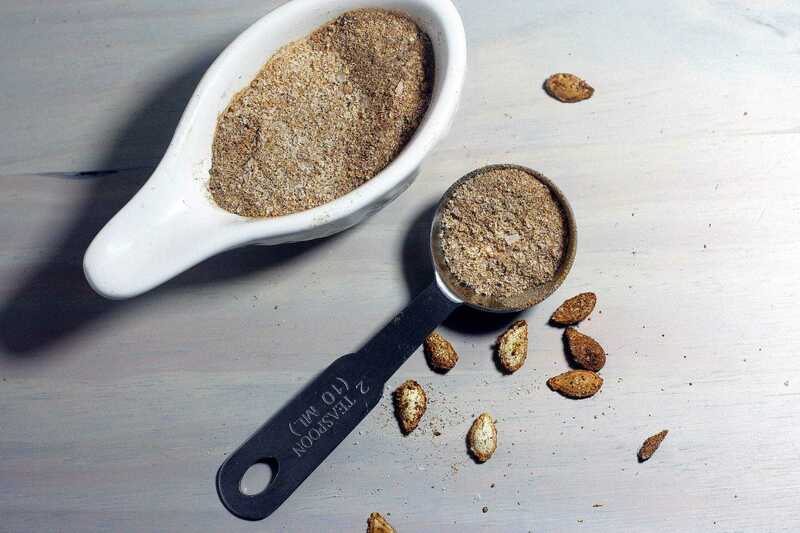 DIY Seasonings are also much more affordable than any store seasoning. Homemade seasoning salt!! Wowza, I don’t think that is a word, but that all I can say about this seasoning blend of spices 🙂 – this is just delicious!! I made a butternut squash and sweet potato soup over the weekend, recipe to follow this week! When I took the seeds out of the butternut squash, I decided I wanted to toast them for a garnish! So I came up with this spice blend. It is so good and I have now put it on just about everything, sweet potatoes, sweet potato fries, squash, pumpkin seeds, salmon, you name it! The seasoning salt has a fantastic aroma too! I put together a few spices and added them to a couple of tablespoons of kosher salt! Doesn’t get much better than that, now, does it! Added some ground turmeric, onion, and garlic powder! 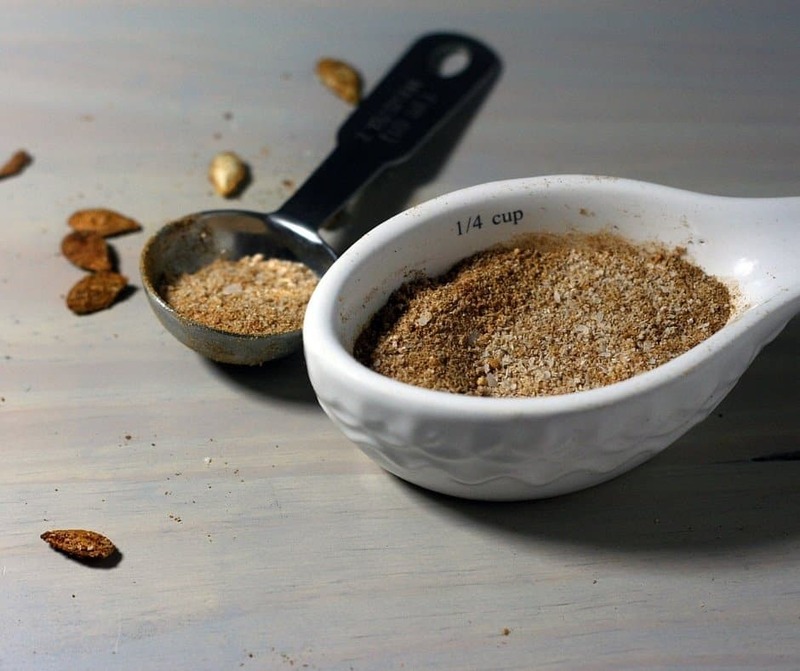 I can’t tell you how yummy this homemade seasoning salt tastes. I just love it! I will be sharing how I made the toasted squash seeds tomorrow! I really hope you make this seasoning salt and keep it in a closed container in your spice rack! Add it to any dish! The possibilities are just endless! Thank you for always sharing my passion and love for food and family! 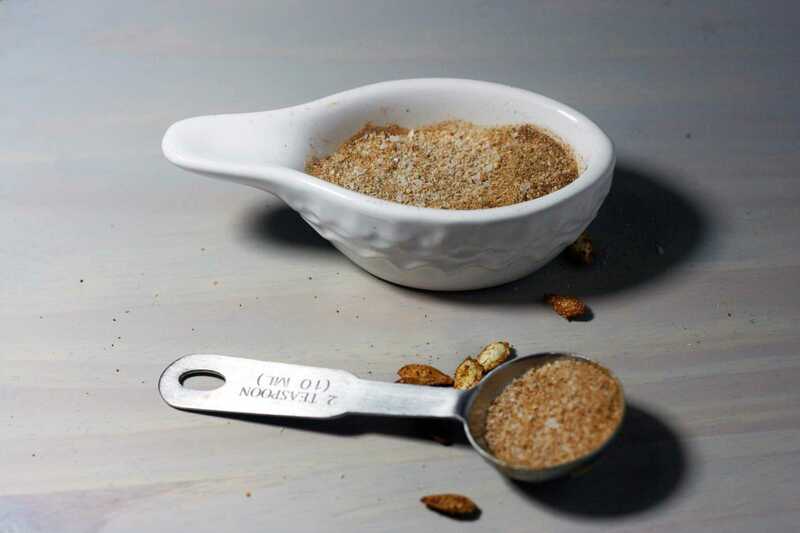 Homemade seasoning salt is a fantastic blend of kosher salt, garlic powder, and onion powder! This is delicious on pumpkin seeds, butternut squash seeds, sweet potatoes, rice, and fish! Makes about 1/4 cup and can be kept in a closed container for about 6 months. Combine kosher salt, black pepper, garlic powder, onion powder, paprika, turmeric, and celery salt in a bowl. Pour seasoning salt into a mason jar or container that can be sealed tightly. Add seasoning salt to any dish you desire! Great on anything from sweet potatoes to fish! Any nutritional data I provide is an approximation and actual dietary information can vary based on ingredients and portion sizes. I think this recipe isn’t correct. There’s no five spice or ginger in the ingredient list. I’m truly confused. Hi Candis, I am in the middle of updating this recipe and the entire blog post! As with everything, there are sometimes changes to recipes and this seasoning salt I now make differently. The recipe is now correct but I have not yet updated the pics. I will also be adding more information to the blog post this week. This is nice spice. I use this on chicken and it’s tasty. I love this spice too, Happy you enjoy it. It most certainly is, hope you enjoy! This is fantastic! I have always made my own homemade seasoning! That’sagood idea to make it yourself. Seasoning salt does add such a nice flavor to so many things. Thank you Rosey! I hope you give this one a try and enjoy it on so many things! I am all for anything homemade rather than buying. This is something that I am excited to try. That is awesome, hope you enjoy! This looks great and versatile. I need to try it out. I bet your soup was amazing, and I can think of so many recipes this seasoning would be great in! Thank you Angie, It was really good! Hope you enjoy! I never thought about making my own seasoning salt. It sounds wonderful. This is a great idea! I never thought to make my own seasoning salt! wow, what a fantastic idea! I would love to try this. Thanks for sharing! it will be better if it has a spicy powder i really love this idea. I have never made my own seasoning salt before. I will have to give it a try this weekend. Absolutely, you control all the ingredients – so much healthier! This is a must make!!! Thank you! 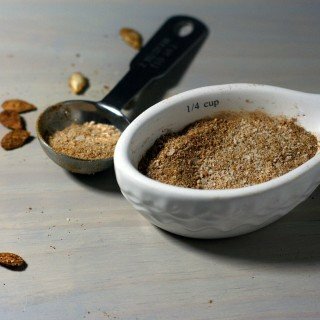 I made a similar seasoning using five spice, salt, pepper and chicken powder. It was also good. I will your your recipe. This is a great idea instead of me buying Mrs. Dash! lol I made a taco seasoning and now that’s all I do now instead of buying the envelopes. Yes, so much healthier and you control what goes into the seasoning! I can’t wait to try this. It sounds awesome for my chicken. I hope you make a batch and use it – let me know! It is a new favorite in my house! You are very welcome! I hope you make a batch and enjoy! This is awesome. What I like about it is that you can make a huge batch so that you can just store it somewhere and it would make cooking a lot easier. That is great, I hope you love the seasoning as much as I do! YOu’ve got me all enthused to try it now too. I’m with you about ginger, by the way. It’s awesome! Yes, ginger! So good for everyone! I hope you enjoy the seasoning salt! I love that it has ginger in it. It sounds like a spice with a kick to it, yum. Thank you Tara, a new favorite of mine!